Neke Carson’s guerrilla performances were unsanctioned by the art galleries in which they took place. 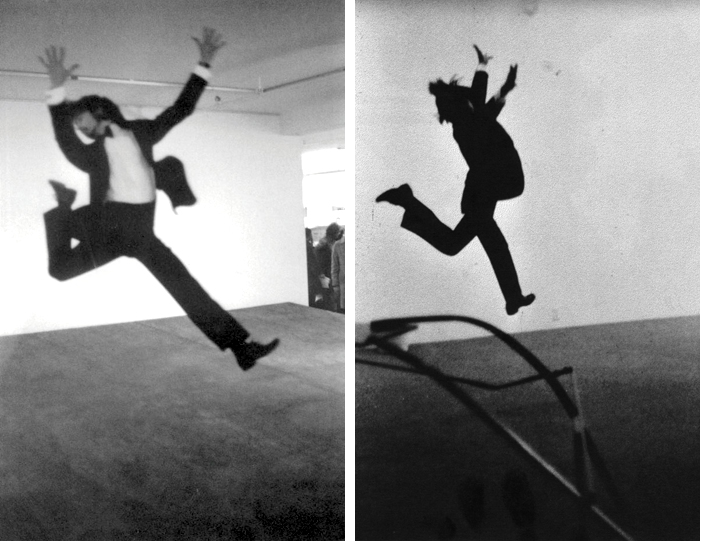 Left: Carson jumps over Vito Acconci’s “Seedbed” at the Sonnabend Gallery. Right: Carson jumps over an unidentified sculpture at the Emmerich Gallery. Gallery 98 will be celebrating and participating at the launch party for Neke Carson’s newly released book, Works on Art and Rectal Realism. The celebration is hosted by Anthony Haden-Guest and Lorraine Leckie, and takes place this Saturday (March 12) from 5 to 7 PM at Printed Matter’s new store, 231 Eleventh Avenue (at 26th Street). Works on Art and Rectal Realism is, according to Carson, “a book about one artist and how he addressed the gallery system in the ’70s.” Carson’s unique subject matter was the art world’s ritualized etiquette, and the paintings and sculpture (he called them “Readymades”) that he encountered in Soho art galleries. His pioneering guerrilla performances involved infiltrating gallery spaces, and obtaining the unwitting participation of gallery personnel. Starting in 1972, Carson’s art took a new direction, with a radical series of paintings that still shock today. These “rectal realist” works achieved a delicate balance, in which the unusual painting process and the surprisingly accomplished results are each of equal significance. 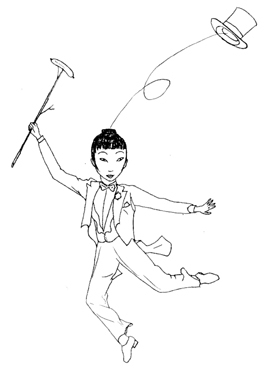 The works transformed the act of art-making into performance art. Most were exhibited with an accompanying video monitor, although in one instance Carson made a painting on stage, anticipating today’s vogue for live painting events. Works on Art and Rectal Realism brings together all the posters, explanatory graphics, and photo documentation connected to Carson’s work from the years 1971–75. Katherine Jánszky Michaelsen has interviewed Carson about the individual pieces and written an afterword. The book is published by Rollo Press, which last year published Carson’s Art Therapy for Conceptual Artists. Some of Carson’s work is currently on exhibit in “Concept, Performance, Documentation, Language” at the Mitchell Algus Gallery. Learn more at Gallery 98 and in Bruce Helander’s informative Huffington Post article. 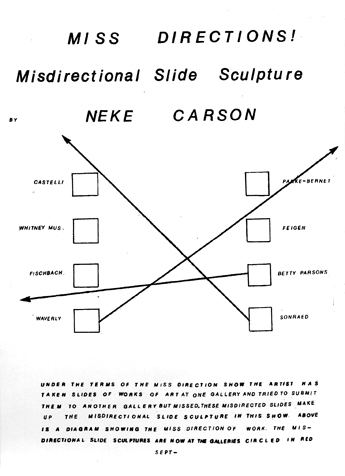 Carson attempted to interest art galleries by submitting slides of what was in fact other artists’ work, on display in rival galleries. 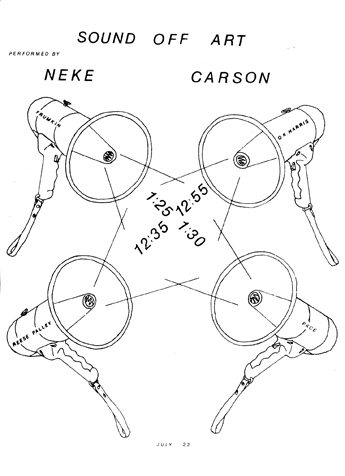 For this performance, Carson tapped with an amplified tuning fork the art at several New York galleries.